Although the first archaeological finds date back to the VI and V centuries B.C., the town of Tricarico, in the province of Matera, flourished in the Lombard period, and only since 849, there is documented evidence of the presence of a fortified village, domain of Arabs and Byzantines. It became, later, part of the County of Norman family of Sanseverino, that retained the ownership of the fief continuously until 1605, when with the death of the last heir, it was ceded to the King of Naples, to cover the family's debts. The feud was then ceded to Francesco Pignatelli, Duke of Bisaccia, and later to Alessandro Ferrero of Genoa and, finally, to Ippolito Revertera. 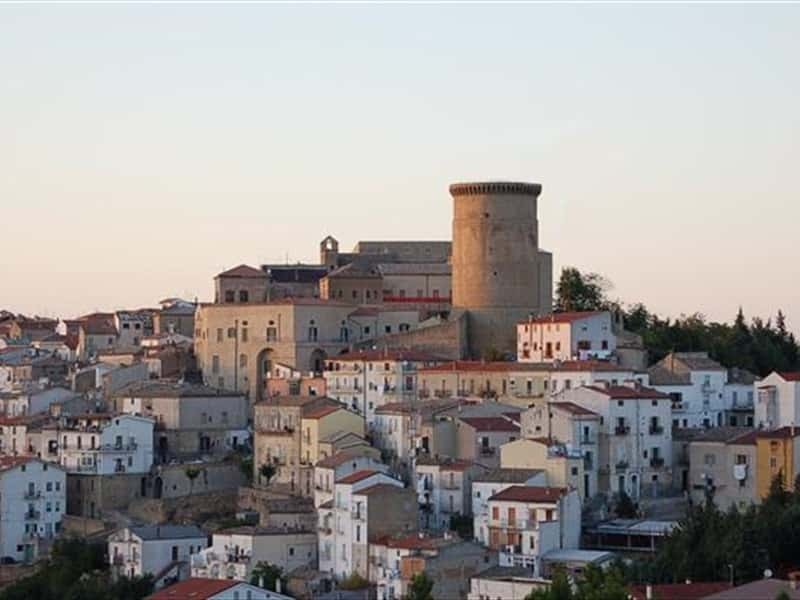 Tricarico has one of the best preserved historic centers throughout Basilicata and its name derives from the Latin word "trigarium" (horse stables). - the Shrine of Our Lady of Sources, one of the major Marian shrines in the region, situated in between the woods of a forest, and realized where, according to tradition, a miraculous image of the Madonna and Child were found. This town web page has been visited 27,437 times.